Rev. Angela Magliozzi, CRT, has studied with world famous, master-level regression therapists from the Netherlands, the UK and the United States, and has worked with Dr. Roger Woolger as a training assistant. Angela is a Level III Reiki Master and trained in Bio-energy, Bodybreath, and shamanic healing. These integrative modalities along with her intuitive gifts are evident in her regression work, which includes the exploration of inter-life (life planning process) as well as future life progressions. Gifted with the ability to “see” others past lives, this enables her to be “on the journey” with you as you experience your past-life regression. Her gentle spirit and intuitive guidance helps her clients feel comfortable and safe. 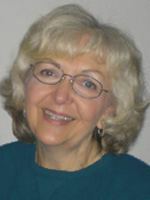 In private practice since 1998, she works out of her office in Silver Spring, Maryland, and is certified in regression therapy by both the International Association for Regression Research and Therapies, (IBRT), (www.IBRT.org) and by Woolger Training International.(www.DeepMemoryProcess.com.). Most of us have had the experience of meeting someone for the first time, and falling immediately into a comfortable or adversarial relationship. Or perhaps when visiting a new part of the world, we find it “feeling” very familiar to us. These are often instances of re-encountering people (souls) and places we have known in other lifetimes. We unconsciously carry forward experiences, attitudes, and relationship dynamics from prior lives into our current lifetime. Often traumatic experiences (like a violent death or loss of a loved one) can be left unresolved; relationships are left unhealed; or an attitude or decision may be carried forward from a previous life-time that is detrimental to our current life. Trauma and issues from the past can be reactivated by events in our current lifetime without our conscious awareness. Through the use of regression therapy, we can revisit these experiences, “complete the story” and clear the issue from affecting or blocking our progress and happiness now. Regression Therapy is client-centered. It focuses upon the discovery of the origins of the client’s issue(s) and lies in the acceptance of the theory that present-life issues or problems may have their origin in the past.